The other day I wanted to prepare a warm dish for dinner and the following lunch but I had nothing interesting to cook in my fridge. I found some zucchini, and I also had eggs and mozzarella. 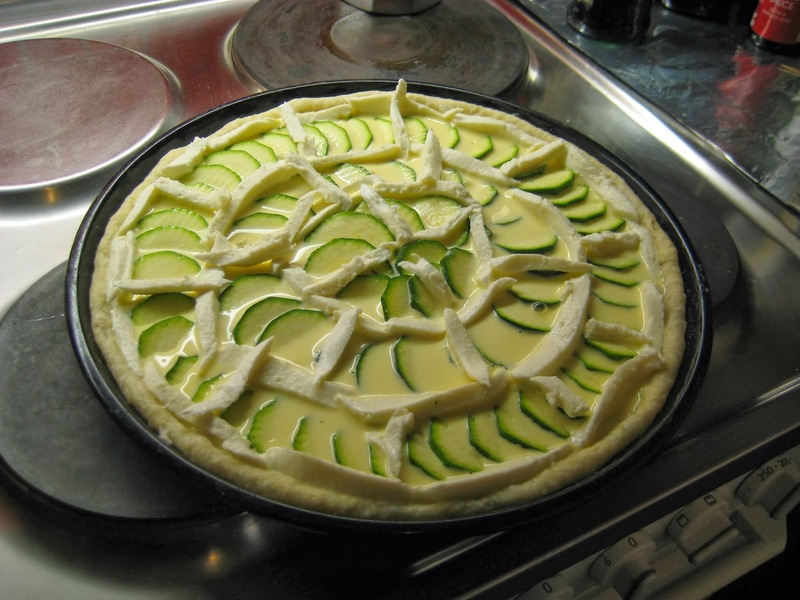 So I thought, why not bake a zucchini-mozzarella pie :-) ? 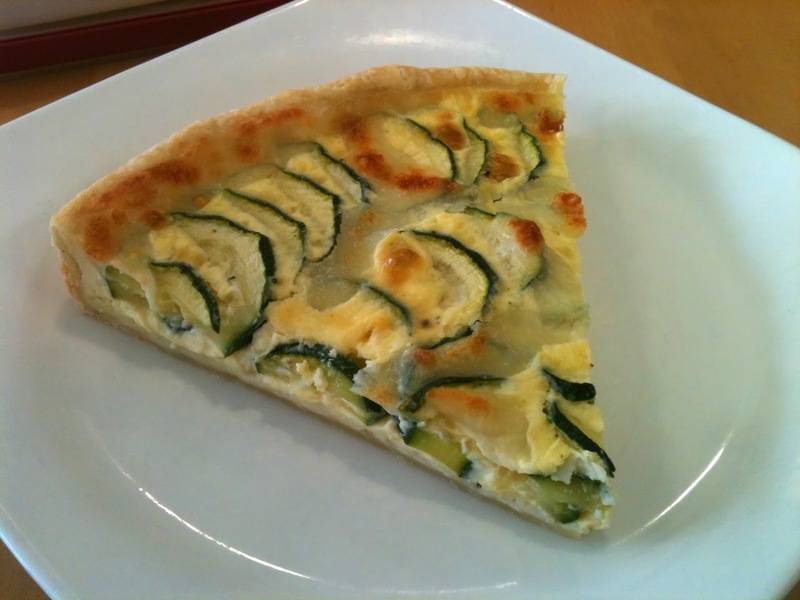 I based my recipe on my previous pie and quiche recipes, with a shortcrust dough and a egg-cream-milk batter. 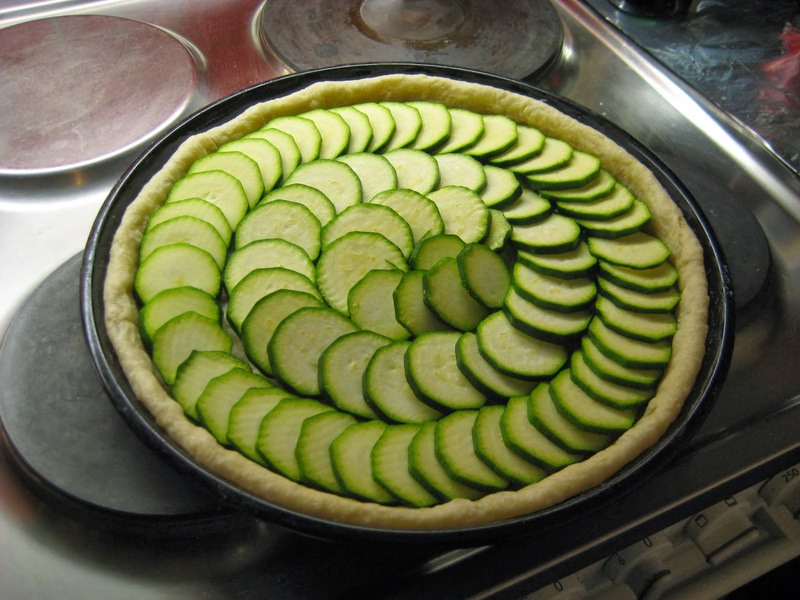 Zucchini made the pie into something very decorative and the mozzarella brought some color and crisp to the zucchini. 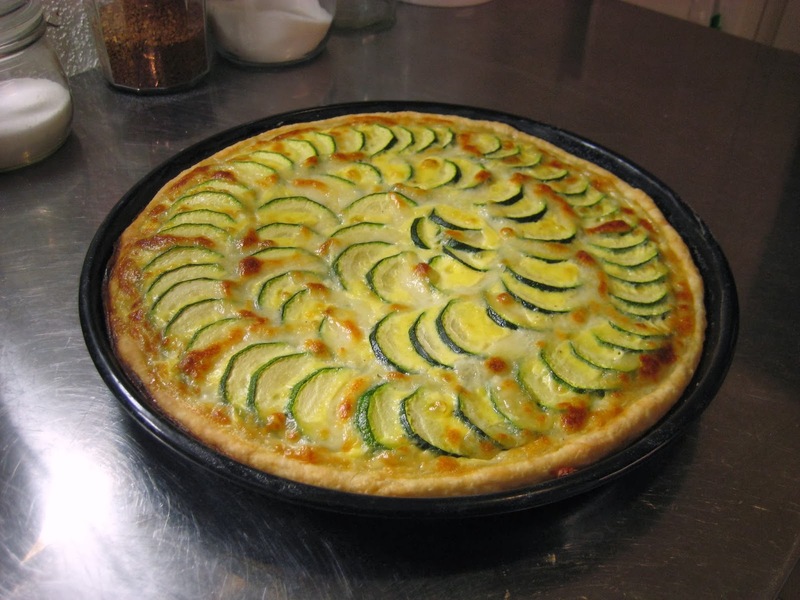 Very easy to prepare, and you can enjoy this pie both cold and warm! Enjoy! Prepare the dough as described before and refrigerate 30 min. 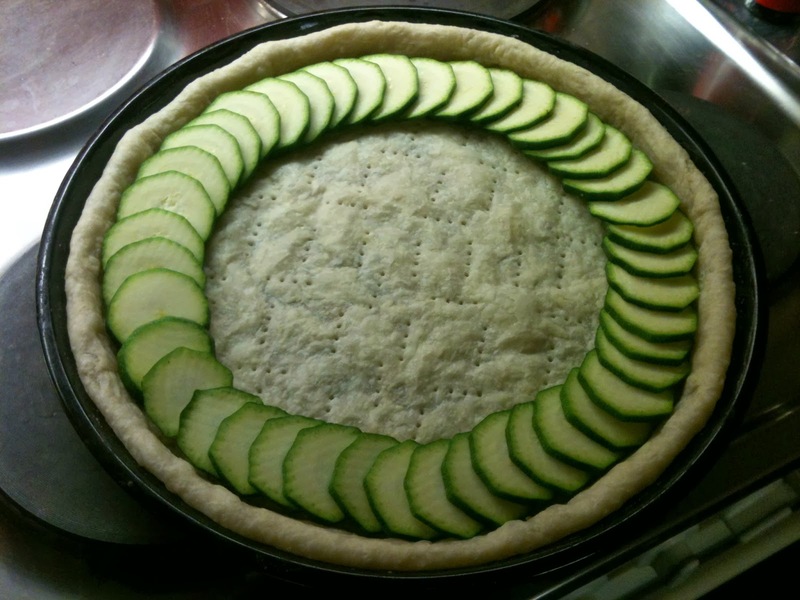 Roll it out on a floured table and transfer to a buttered and floured pie pan. Prick it with a fork and bake in the oven 7-8 min at 220 C.
Slice the zucchini in thin slices and dispose them nicely on the pre-baked dough (if you want lots of mozzarella you can add a thin layer under the zucchini). Mix milk and cream and add eggs one by one, mix with a fork. 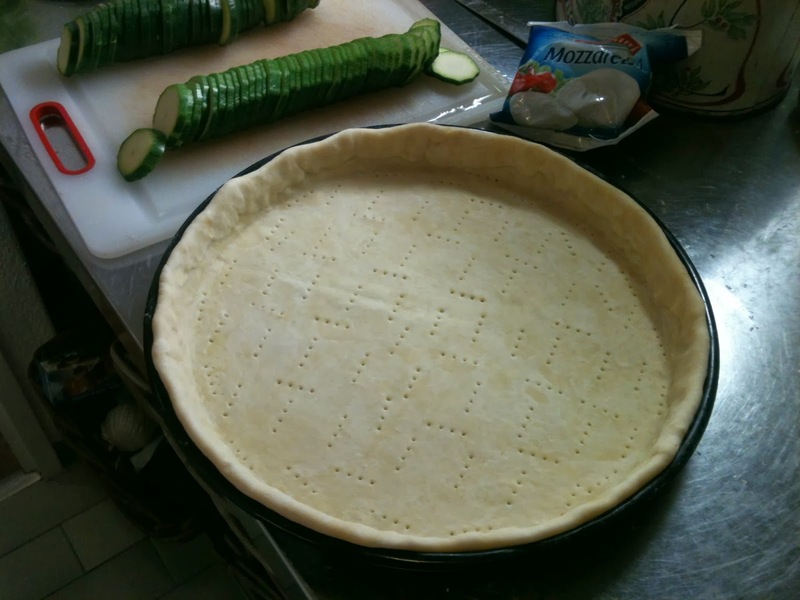 Add salt and pepper and pour the batter onto the pie. Finally sprinkle crumbs/thin slices of mozzarella on the pie and bake 25-30 min at 220 C.
Serve cold or warm, it makes for a perfect lunch!